Florida Man Made 'Highly Volatile' Explosive That's Popular With ISIS, Police Say "The white crystal powder has been referred to as 'Mother of Satan' by terrorist organizations," the Volusia County Sheriff's Office said of the explosive TATP. A member of the Volusia County Sheriff's Office holds an electrical switch device, part of the "bomb-making paraphernalia" recovered from a home in Lake Helen, Fla., where the explosive TATP was also found. Acting on a tip about explosives at a house in Lake Helen, Fla., police discovered jars of highly volatile triacetone triperoxide, or TATP — the same material used in terrorist bombing attacks mounted by ISIS and al-Qaida. Jared E. Coburn, 37, was arrested after officers were told he had a bomb under his bed. "The white crystal powder [TATP] has been referred to as 'Mother of Satan' by terrorist organizations who have used it in deadly attacks around the world," the Volusia County Sheriff's Office said in a statement. The TATP was found in Coburn's room, which he had been renting from a relative, authorities said. Police went there intending to look for a bomb, but the officer who entered the house reported seeing what resembled a makeshift lab, with jugs of powder and bottles of peroxide, alcohol and other liquids scattered around the room. Two vials of crystalline powder sat on the desk, according to law enforcement, and underneath it sat a "large amount of tannerite" — an explosive that contains ammonium nitrate and aluminum powder. "What's in there now ... it's enough to blow half the house up," Volusia County Sheriff Mike Chitwood said. He added that investigators believe Coburn made the material in the house. 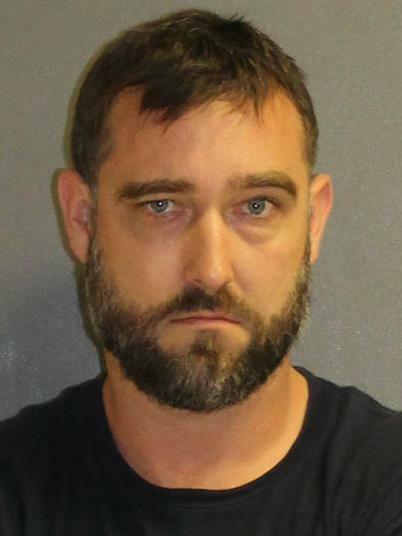 Jared Coburn , 37, (pictured) "tried to explain to us that he was making his own version of a firework," Lake Helen Police Chief Mike Walker said. Investigators also found devices that were either capable of being used as a bomb or could be converted into usable materials. 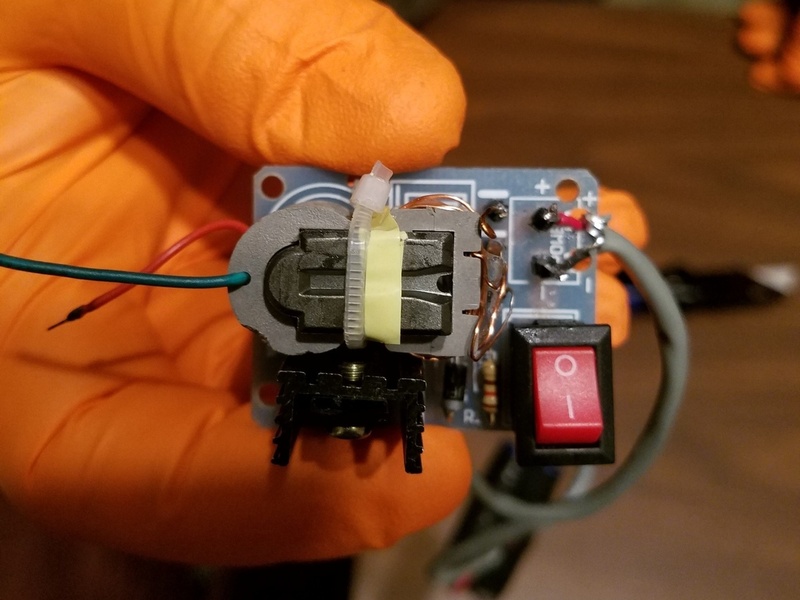 Those items included switches, wires and batteries that had been soldered and zip-tied together. "He tried to explain to us that he was making his own version of a firework," Lake Helen Police Chief Mike Walker said. Coburn has been charged with two counts of manufacturing a destructive device and one count of making, possessing or transporting explosives. Additional charges are possible, police say. Walker said Coburn had not been on the police's radar as a potentially suspicious person, and that while the authorities had dealt with Coburn in the past, it had been for simple matters such as a ticket. Walker said police don't think Coburn's relatives who live in the house — he identified them as an uncle or cousin and that man's daughter — knew about the explosives. TATP has been used in high-profile terrorist attacks such as the 2017 bombing at a Manchester concert and the 2016 airport bombing in Brussels. It was used to a lesser degree in the 2015 attacks in Paris. "TATP has very much become the signature explosive that ISIS's external operations branch seems to be using in Europe," New York Times correspondent Rukmini Callimachi told NPR after the Brussels attack. "It was a shock, it was definitely a shock" to find the explosive in this small town in Florida, Walker said. With tree-lined roads and a population under 3,000, Lake Helen is tucked along Interstate 4 between Orlando and Daytona Beach. TATP is made from commonly available materials, but it is notoriously unstable, Sheriff Chitwood said: "You don't normally survive unless you know what you're doing, from what the FBI was telling us .... When you produce this TATP stuff, most people blow themselves up or blow up something else in the process." When police entered Coburn's room, they saw "a couple of devices in plain view," said Lt. Lou Marino of the Volusia County bomb squad, adding that Coburn acknowledged making them. "They are explosive devices, comprised of black powder" and TATP, Marino said. Of Coburn, Chitwood said, "This guy is also highly intelligent. We're not talking about Joe Schmo who got online and decided to do this." The sheriff said investigators do not yet know whether Coburn might have been "a frustrated chemist" who was simply experimenting, or whether he had "more sinister plans," but Chitwood said the materials posed a dangerous risk to anyone in the house and its immediate vicinity. Coburn reportedly told officers that he had become interested in explosives after developing a model rocket hobby. The police report stated Coburn said he "knew the TATP powder was unstable so he would rotate it to keep it 'fresh.' "
The TATP was deemed too volatile to put in police trucks, Chitwood said. To dispose of the material, a bomb squad robot carried it to holes that police dug in a nearby field, where it was blown up. If you heard a boom in Lake Helen, that was us detonating one of the items. All good. There will be more booms, so don't be alarmed! Hours later, the sheriff's office issued a tweet telling nearby residents, "If you heard a boom in Lake Helen, that was us detonating one of the items. All good. There will be more booms, so don't be alarmed!" A search of the home found "large amounts of Tannerite, both mixed and pre-mixed, several firearms, large amounts of ammunition and a few suspect items that could be portrayed as hoax destructive devices or easily converted to be one," according to the police report. Leaders of the two local police agencies said the FBI's offices in Orlando, Jacksonville and Washington, D.C., are involved in the case, along with the Bureau of Alcohol, Tobacco, Firearms and Explosives. "Everybody's here because everybody understands how volatile this stuff is" and the importance of defusing the situation without anyone being harmed, Chitwood said.